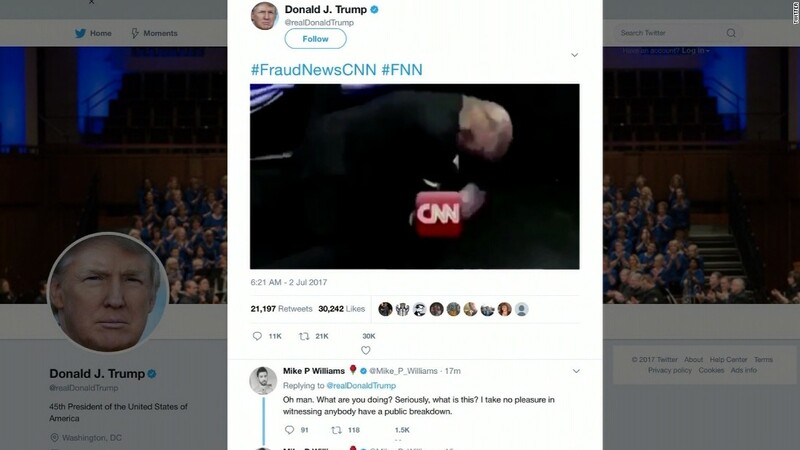 (CNN) The Reddit user who initially claimed credit for President Donald Trump’s tweet that showed Trump tackling CNN issued an apology Tuesday for the video and other offensive content he posted — one day after CNN identified the man behind the account and attempted to make contact with him. Trump has not issued an apology for the tweet, which he sent Sunday morning. Homeland Security Adviser Tom Bossert said on ABC’s This Week that “no one would perceive” the tweet as a threat. In his apology on Reddit, “HanA**holeSolo” sent a message to his fellow anonymous posters.